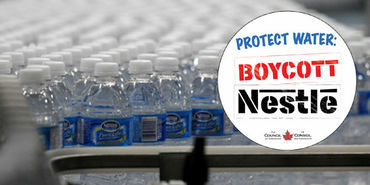 Premier Ford: Protect Water for People, Not for Nestle ! PLEASE SIGN ! ! Two-thirds of people in Ontario want the provincial government to phase out all bottled water takings. I am one of them. Message sent! Thank you for adding your voice. Signed! I HATE Nestle - they are immoral, greedy and corrupt. "Message sent! Thank you for adding your voice."